He looked like death warmed over. That is, if death warmed over was a once-in-a-lifetime, luscious lothario. Lean and broad-shouldered at 6’3’’, he towered over my compact 5’3”. His eyes gleamed intense as the full moon above, his collar-length hair swept back in lines of seafoam white over ocean dark. Still good, even though a little worn around some edges and drooping a little in others; well worth the awkwardness of one more date. But those bags under his eyes? What was going on with him—aside of the usual demands of his job—that they hung three layers down, like the valence on a set of heavily ornate living room curtains? 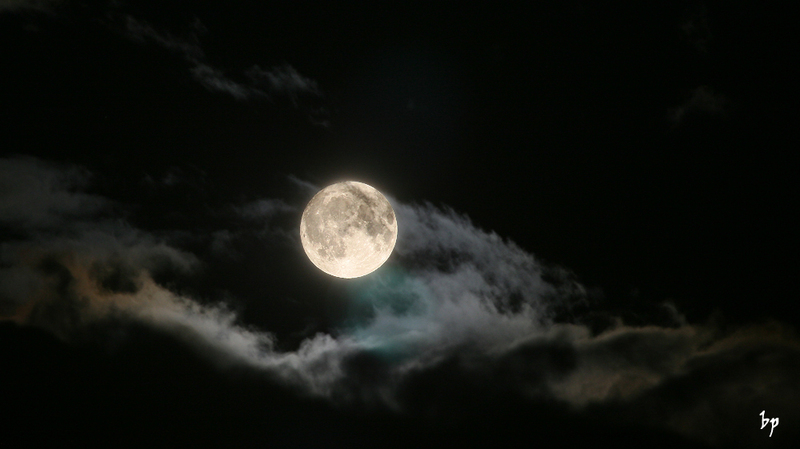 I searched his tense face in the light and dark as clouds raced across the moon, and hoped for signs of good news. “Stay down!” he shouted as he dropped to the ground, reaching a hand out to warn me. I stood still, as a sudden rush of wind swept past. He grabbed my wrist, pulling me off my feet and downwards. My shoulder cracked on to the ground, my forehead and cheekbone scraping across the icy dirt path. “Ow!” I shrieked. “What the hell, Eric?” I struggled in his grasp. “Who’ll hear me?” I hissed back. “Them! They’re everywhere, Jess!” He dragged me to his chest, his sweat soaking the back of my shirt. My shoulder screamed protest. I should have felt repulsed, but instead I felt…aroused. Even with his paranoia, he was definitely worth a third date. So how did I get here, on the icy grounds of this ancestral cemetery, past midnight…? I was hoping to compile research for my new book, a kind of “Seeking Mr. Goodbar/Vampire” saga. I know it’s been done to death—pun fully intended–but I hoped for a fresh angle and was way too short on ideas. Why I thought Craigslist was my perfect solution is beyond me. I guess I was desperate. My last two books hadn’t done well, and I got fired from my job at the Stop, Shop, & Go for ducking out of too many late-night shifts. Enter Eric. He suggested we meet at the cafeteria, located in the basement of our local hospital. It was a little unusual for a first date, but inspiration is often found in the most unlikely places. And he was inspiring: handsome in a self-contained way, serious, but also quirky enough to be fodder for my elusive muse. Even if I didn’t get to anything researchable, I reasoned, my time would still not have been wasted. I leaned in, wondering what his job was, that he sat with his back to the wall, with an open line across the cafeteria and to the exits. He alternated between quick-sipping the surprisingly decent hospital coffee, and scanning all corners of the room. It took some doing to catch his eyes as they swept past me. “Yeah, that’s me,” he shot me a grin, took another quick sip, and scanned the room once more. “Of course.” No, I don’t think so, Bub. I raised the other eyebrow. I shrugged, painfully aware of my near-empty bank account, my overdue rent, my unemployment status, and having no benefits. And then he smiled at me again, his eyes so glacially blue that I lost myself for a moment. So, here I am, on the grounds of the Hetherford-Rushton estate, wrapped in Eric’s arms, my shirt going from damp to uncomfortably chilly. I should have felt repulsed. Here we were, hopscotching from crypt to crypt in the estate’s graveyard, past midnight, full moon, with the faint smell of ichor from the wooden stakes he carried in his backpack (he believes in cost-saving by recycling, and purifies his takes–once he’s beheaded his quarry–with a potion he gets from his I-Ching advisor). I really should have been repulsed, especially after what I’d seen him do. But truthfully, it kinda turned me on. There was something about him. Or maybe there was something about me? I pushed Eric off me, rolled, and stood over him, where he lay sprawled on the ground. He smiled then, mouth open, his canines suspiciously long in the tooth. I growled and held my hand out for a stake and the sledge hammer. “Go ahead,” he sighed. “Eternal life: too lonely. Walking Dead: more real than anyone wants to know.” He smiled again, and offered the hammer and stake to me. Laughing, I dropped to the ground, batting the slayer tools to one side with my head and foreclaws, and shimmying out of my clothes. My tail whipped back and forth as I shivered with impatient delight. “I’m already in,” I purred, curling myself against his side. The Hetherford-Rushton vamps gave us a pass that night. True love is so rare, after all. Midtown Global Market (various writing times on the following phrases): He looked like, Stay down, Seeking a friend with benefits, Hard at work, Find what you need, Hopscotch, The monster inside. You are such a creative writer! I didn’t see this one coming at all…. Thanks, Ann! And I loved being able to use the word “luscious” to describe a guy (for a change).